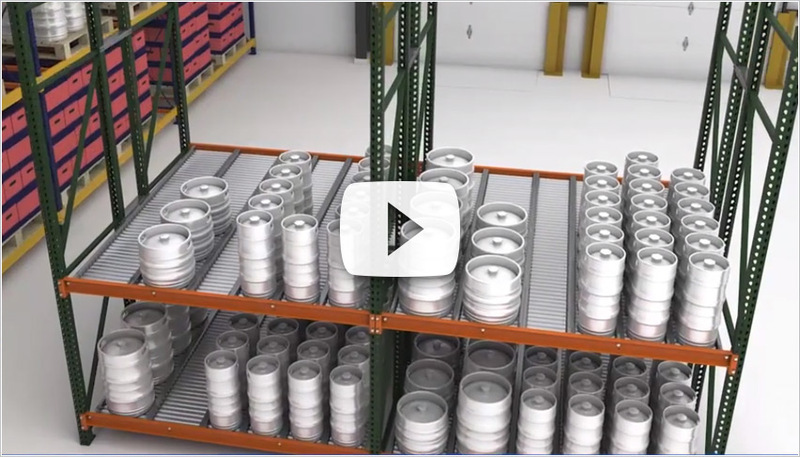 While the microbrew trend continues, beer wholesalers and distributors face some great opportunities and equally tough challenges; how to accommodate a growing number of SKUs in numerous keg sizes while maintaining pick rates, all within the limited space of a keg storage room? Mallard keg flow roller options are designed around the keg spec; roller width is typically ½” wider than the diameter of the keg. Kegs sit relatively low in the lane and are guided by side rails that vary in height depending on the size and height of the keg. See below to learn more about designing your unique keg flow system. How much room do you have for keg storage? What inventory rotation method do you use? Do you require galvanized finish? 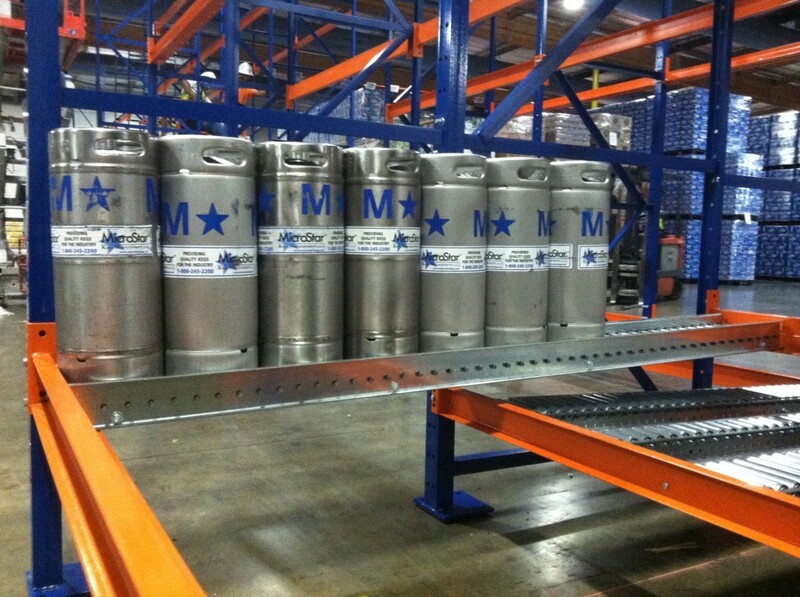 Equipped with the right specs your keg flow will meet your pick-rate and fulfillment goals. Give us a call and let's get those kegs moving.